Accordion shutters are known for resembling the accordion, allowing you to fold them open or closed. This particular option is very popular for home or business use. They are strong enough to offer hurricane protection and easy to use. 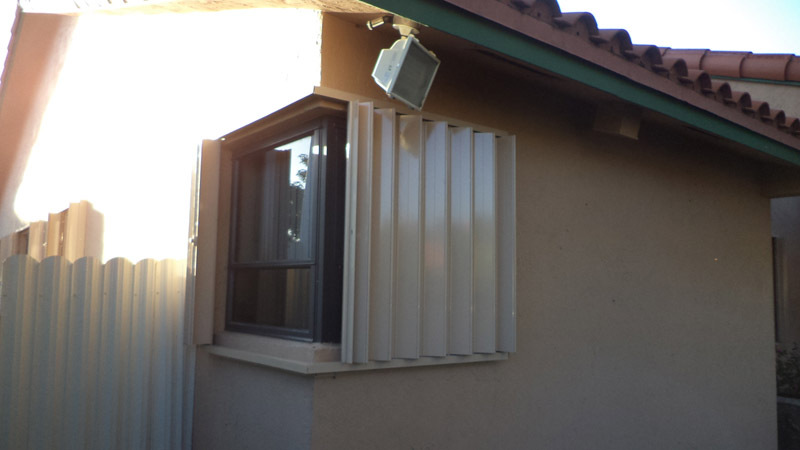 Accordion shutters help protect windows from heavy winds and debris while also preventing potential intruders from breaking into your property. This helps to also raise the value of the house as well as ensure a sense of security for the homeowner. Accordion shutters are a great way to add a nice touch to any home and come in many different colors for our customers to choose from. The most common colors are known to be the neutral colors (white, ivory, beige, bronze). We offer competitive prices for our customers with installation. We are partnered with some of the reputable hurricane protection manufacturers in the country. We want to earn your business. Please fill out the form below to quickly schedule a FREE estimate.